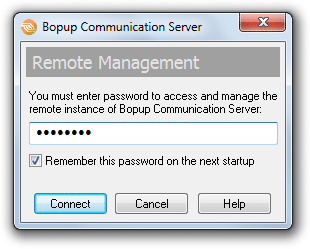 In the latest days of the past 2011 year we released new version 4.0.4 of Bopup Communication Server. The new version adds an useful function which also closes an important security issue. That function is a password that can be set up on the communication server to allow or permit a remote administration of the IM server. 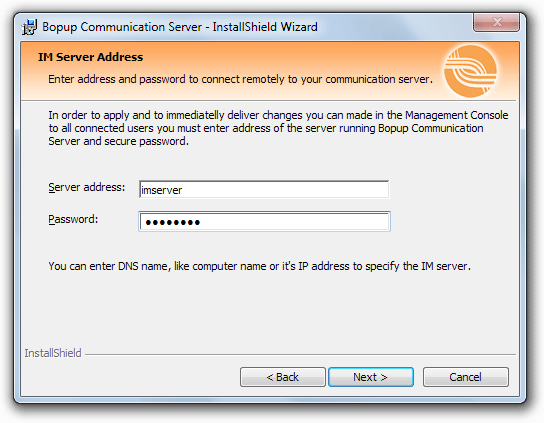 Prior versions of the communication server did no have any security functions and the Management Console could be installed on any computer in the Administrative Mode to manage and control an existing instance of Bopup Communication Server. In order to enable the password proptection open the Options dialog box in the console and go to the "Interface" tab. 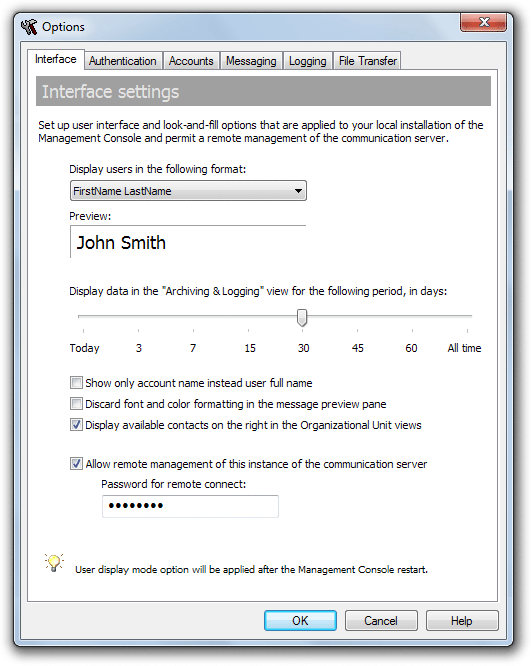 Click the "Allow remote management of this instance of the communication server" check box if you want to permit remote management of your IM server. Then enter a password that should entered in the remote console and in the Setup Wizard to protect your communication server. Now the Setup Wizard asks for security password if the Management Console is installed in the Administrative mode to manage an existing installation of the communication server. That password must be entered on the page which asks for the name/address of the IM server. The same password is asked when the remote Management Console starts. You can save the password by checking the "Remember this password on the next startup" option. Please note that communication service on the server computer must be started during installation/startup of the console on remote computer.